Foam roofs consist of a layer of foam covered with acrylic coating or paint. Just like any other coating, eventually, it wears off. One highly unique advantage to a foam roof is its sustainability. 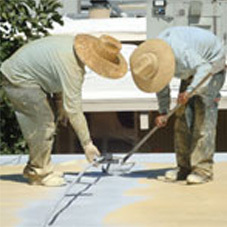 You can merely re-apply the paint to continue the life of the roof.